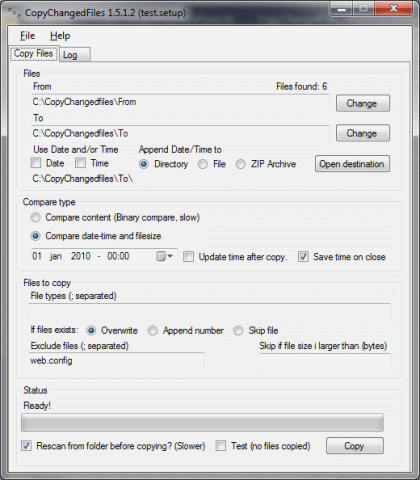 Take incremental backups during the day, only copying changed files. You have a vast amount of images/documents/source code files that you only want to make a incremental backup of. You have a lot of customer websites that you maintain and only want to update the changed files. You need to copy changed files only from one directory tree to another. You take a lot of pictures you want to backup several times a day to a DVD or another media where you cannot overwrite only append to.